Is this the new face of the Ugly Canadian? Many Canadians are familiar with the Monroe Doctrine. First issued by the United States in 1823, it warned European powers against renewed colonization of the Western Hemisphere. Presented as anti-imperialist, the Monroe Doctrine was later used to justify US interference in regional affairs. We may be seeing the development of a Canadian equivalent. The ‘Trudeau Doctrine’ claims to support a “rules-based order”, the “constitution” and regional diplomacy independent of the US. 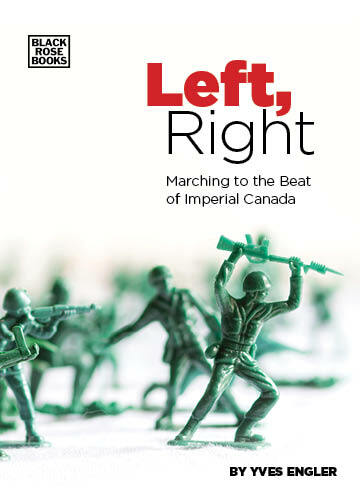 But, history is likely to judge the rhetoric of the Trudeau Doctrine as little more than a mask for aggressive interference in the affairs of a sovereign nation. Just before the recent Lima Group meeting in Ottawa Trudeau spoke with Guaidó and at the meeting of countries opposed to Venezuela’s president he announced that Canada officially recognized Guaido’s representative to Canada, Orlando Viera Blanco, as ambassador. 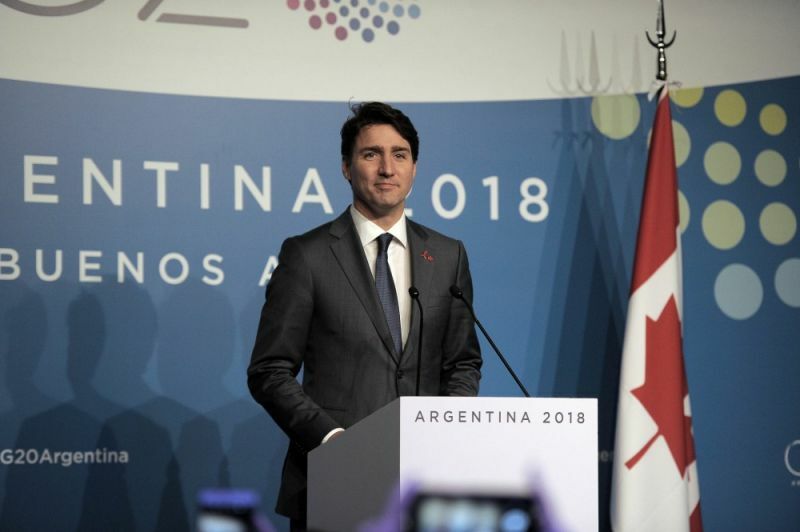 The PM has called the leaders of France, Spain, Paraguay, Ireland, Colombia and Italy as well as the International Monetary Fund and European Union to convince them to join Canada’s campaign against Venezuela. “The international community must immediately unite behind the interim president”, Trudeau declared at the opening of the Lima Group meeting in Ottawa. At the UN General Assembly in September Canada announced it (with five South American nations) would ask the International Criminal Court to investigate the Venezuelan government, which is the first time a government has been formally brought before the tribunal by another member. Trudeau portrayed this move as a challenge to the Trump administration’s hostility to the court and described the ICC as a “useful and important way of promoting an international rules-based order.” In other words, Trudeau would challenge Washington by showing Trump how the “international rules-based” ICC could undermine a government the US was seeking to overthrow through unilateral sanctions, support for the opposition and threatening an invasion, which all contravene the UN Charter. While Trudeau claims to support an “international rules-based order”, his government has adopted three rounds of illegal sanctions against Venezuela. It has also openly interfered in the country’s affairs, which violates the UN and OAS charters. The Trudeau Doctrine emphasizes its interpretation of Venezuela’s constitution. On a whole series of platforms the Prime Minister has cited “the need to respect the Venezuelan Constitution”, even responding to someone who yelled “hands off Venezuela” at a town hall by lecturing the audience on article 233 of the Venezuelan constitution, which he claims makes the head of the National Assembly president. It doesn’t. More fundamental to the Trudeau Doctrine is the mirage of a regional coalition independent of the regional hegemon – the United States. Ottawa founded the anti-Maduro Lima Group coalition with Peru. Amidst discussions between the two countries foreign ministers in Spring 2017, Trudeau called his Peruvian counterpart, Pedro Pablo Kuczynski, to “‎stress the need for dialogue and respect for the democratic rights of Venezuelan citizens, as enshrined in the charter of the Organization of American States and the Inter-American Democratic Charter.” But the Lima Group was established as a structure outside of the OAS largely because that organization’s members refused to back Washington and Ottawa’s bid to interfere in Venezuelan affairs, which they believe defy the OAS’ charter. Describing Latin America as “our backyard” is the language favoured by so-called Ugly American politicians seeking to assert the Monroe Doctrine. Latin Americans should beware of the emergence of Ugly Canadians promoting the Trudeau Doctrine.